What is a Ultra Lite? You are here: Home / What is a Ultra Lite? “Ultralite trailers are affordable & easy to tow”? What really constitutes an ultra-lite travel trailer? 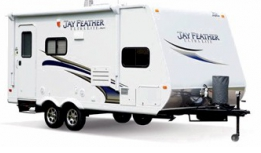 Light weight and ultra-light products and models are different by a number of points, leading to a misperception for consumers trying to determine what travel trailer meets their towing needs or desires. Let’s answer the question, “What is an Ultra-lite” by providing you with some facts and clarifying the differences between a light-weight and an ultra-lite travel trailer. 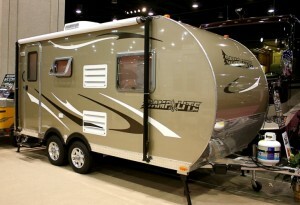 The RV industry has seen a major raise in popularity of the lightweight and ultra-lite models. Some of the confusion as to what is a true ultra-lite begins due to a result of many companies classifying their lighter weight products as hybrid, lightweight and/or ultra-light, when in true accuracy most models are better classified as lightweights. Therefore the question still remains; among the three terms, hybrid, lightweight and ultra-light, what is the accurate identification of an ultra-lite travel trailer? When building a genuine ultra-lite travel trailer, a manufacturer will design the ultra-lite product giving the highest attention to three specific areas: towability, weight and wind resistance. Let’s give you some information in each of these areas. Towability: Manufacturers of recreational vehicles are required to provide the gross vehicle weight rating (GVWR) on all their models. This rating is crucial towards determining if your vehicle can tow the travel trailer you are considering purchasing. However, this cannot be the only factor. You need to do some homework and determine, as close as possible, the weight the trailer would be when fully loaded with supplies such as food, gear and personal items. Add to that number the additional weight of full water and fuel tanks. By taking the time to define a realistic estimate of the total weight of your trailer, you can then be assured the towability of the travel trailer to the vehicle you will be using to tow it. Weight: Our research and years of experience in the travel trailer industry allow us to feel certain in declaring that a true ultra-lite should weigh in at 3,500 lbs. or less. Manufacturers have the right to classify their products by whatever name they like, yet we are confident this is an important weight guide you should use when looking for an ultra-lite. The true ultra-lite travel trailer should be able to be towed by a smaller SUV, a jeep, or even a larger car. Its construction will consist of materials such as fiberglass and/or aluminum that lend to the light weight. It will (typically) not include extras such as slide-outs, because of the added weight they present. Just as with towability, considering weight requires the knowledge of a fully loaded travel trailer. While a manufacturer may call the model an ultra-lite, it is imperative you do not rely on a model weight alone and instead take into consideration all the specifics and criteria which could add to the travel trailer’s total weight. You could put your vehicle at risk with additional pressure on the engine and transmission if you put too much weight on it with a travel trailer that exceeds a suitable weight limit. Wind resistance. 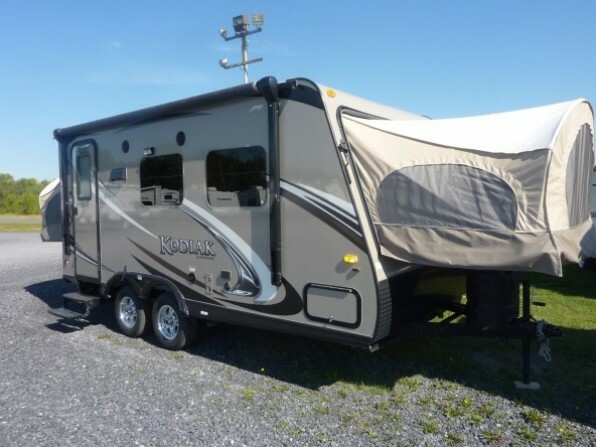 Also referred to as “air resistance”, the design and dynamics of a travel trailer are important in determining the resistance a model has to the wind/air impact while traveling. This impact can be a factor as to whether or not a travel trailer can remain “lightweight” in regards to towability. Too much resistance results in a “drag effect” which can weigh down the travel trailer and then cause problems with towability. A good ultra-lite model is built with aerodynamics which reduces wind resistance and therefore reduces the drag effect when towing the travel trailer. The number one reason lightweight and ultra-lite travel trailers have become so popular is due to towability. Smaller vehicles such as an SUV, van or even a mid-size car can tow these models, avoiding the expense and need to purchase another vehicle to tow your new travel trailer. Therefore, it is important you understand the principles offered here to be certain that the travel trailer you are purchasing is a true ultra-lite.